ICE OUT – Here is the post that I’ve been waiting to make for the last two weeks. 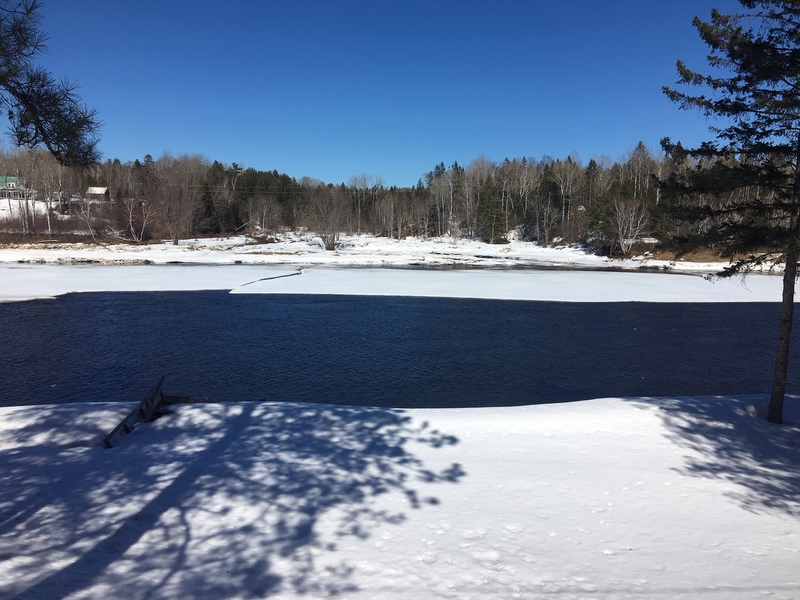 Even though this was a cold, late spring, the ice has been thinning out for the last several weeks, and there have been open channels in many sections of the river. 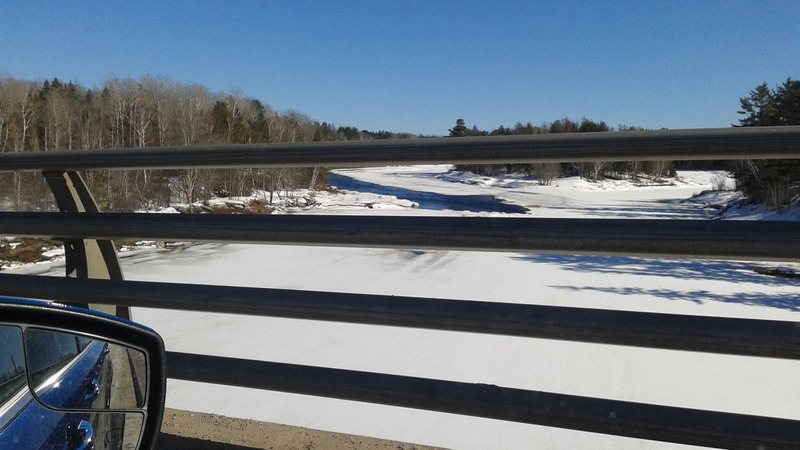 Pictures of the Cains River with the ice gone near the Doaktown Road bridge were posted on Facebook back on April 1. 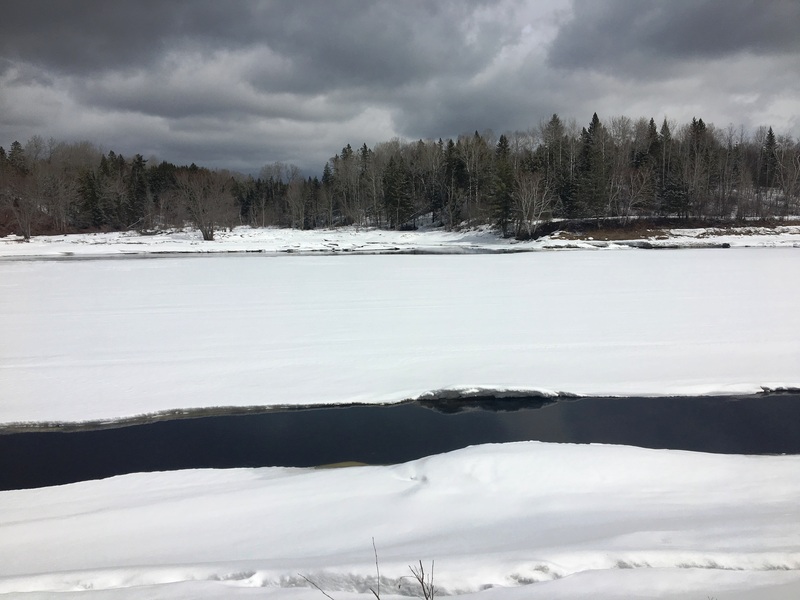 The substantial snow storm of April 4 depressed everyone, and appeared to set us back, but today the ice has left the river in front of Campbell’s Pool in Blackville. The warm weather forecast for the next few days should sweep all vestiges out into the Bay. I’ve been saving pictures that I’ve been receiving from people like Jason Curtis, Darrell Warren and Gary Tanner so that I could show you a picture timeline, and they are pasted in below with captions. 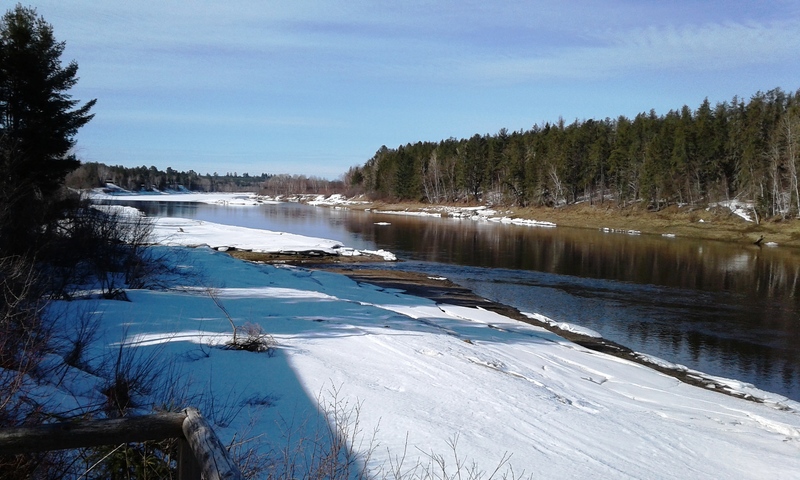 An amazing thing about this spring is that for all of the ferocity of March and even early April, the melting has been quite orderly, and the river height is low for this time of the year. 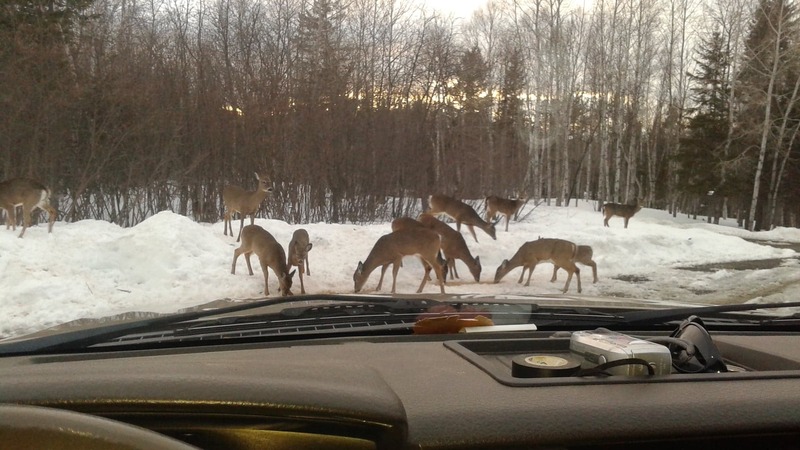 Having the ice leave without a destructive tumble is good for the river and its fish. 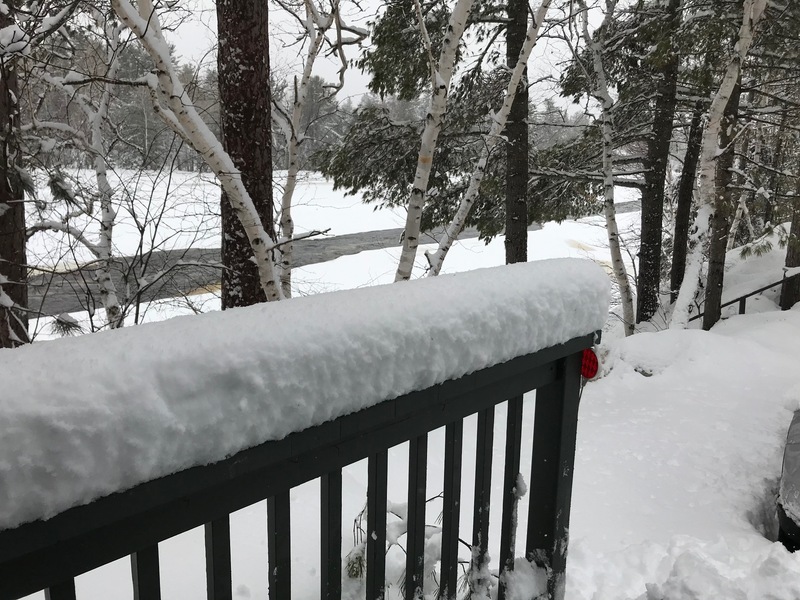 There is still a substantial amount of snow everywhere along the Miramichi, though, and with warm temperatures and a solid rain forecast for Monday the 15th – opening day of salmon fishing – we will almost assuredly see a much bigger river next week. “Giclée printing is a process that uses fade-resistant, archival inks and archival substrates to print on large format printers. Giclée printing is often used by artists to make reproductions of their original two-dimensional artwork, photographs or computer-generated art for resale while preserving the original. Hopefully in a few days we will start with the 2019 fishing reports. If you have some fishing results to report don’t hesitate to send me an e-mail with the info. Thanks for reading. April 1 First chink in the armor. April 3 Lots of snow in Boiestown, but an open sliver of a channel. Later on April 3, but the Cains is open on the Doaktown Road. April 3 Country Haven’s herd doing well with winter feed. April 9 First open water around McKenzie Brook, 200 yards above Campbell’s Pool. 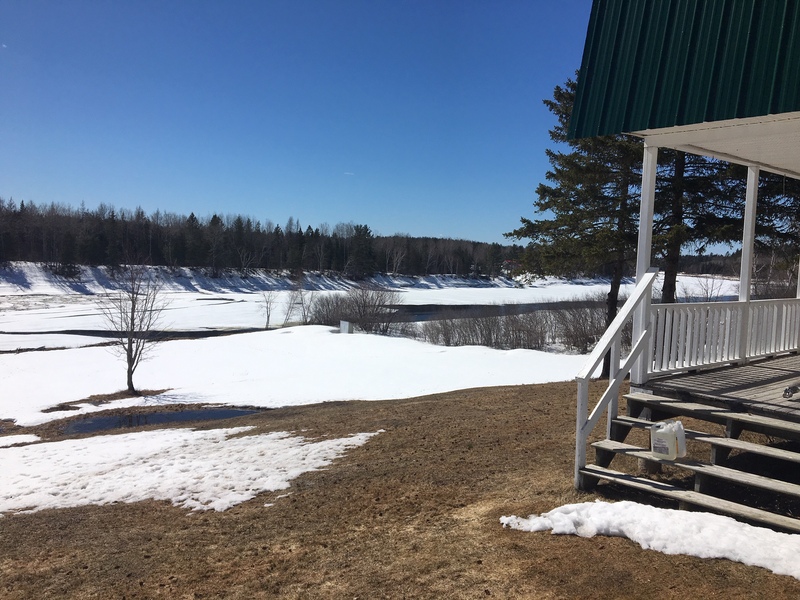 April 10 open on both sides of Miramichi just up from Campbell’s Pool. 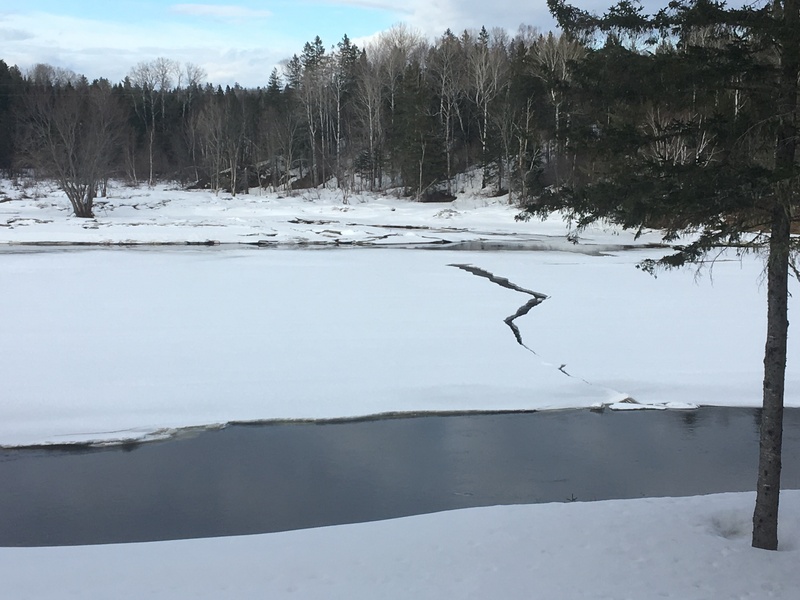 Later on April 10, big crack across river. April 11 not quite as open from Campbell’s at mid day. April 11 eastern channel around Doctor’s Island opening. April 11 river is open at dusk. View from Jason Curtis home. 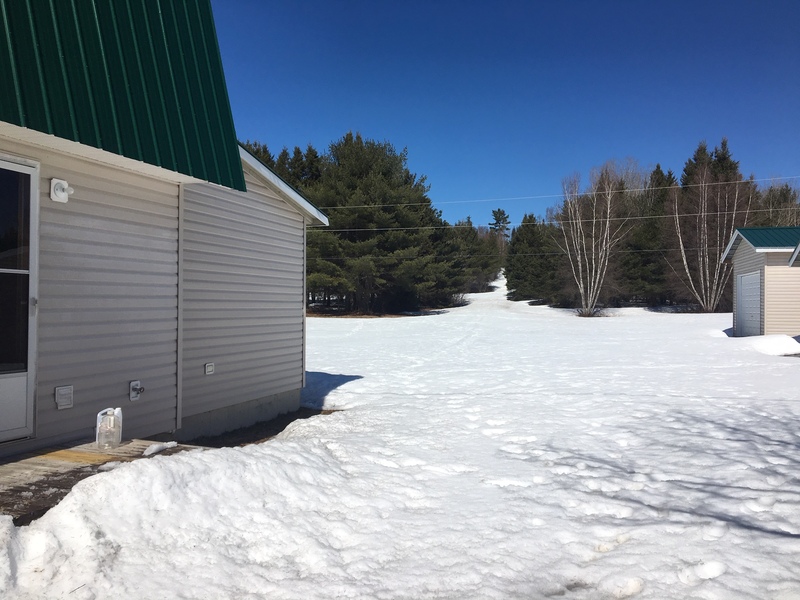 April 11 Plenty of snow still to melt and provide a raise. 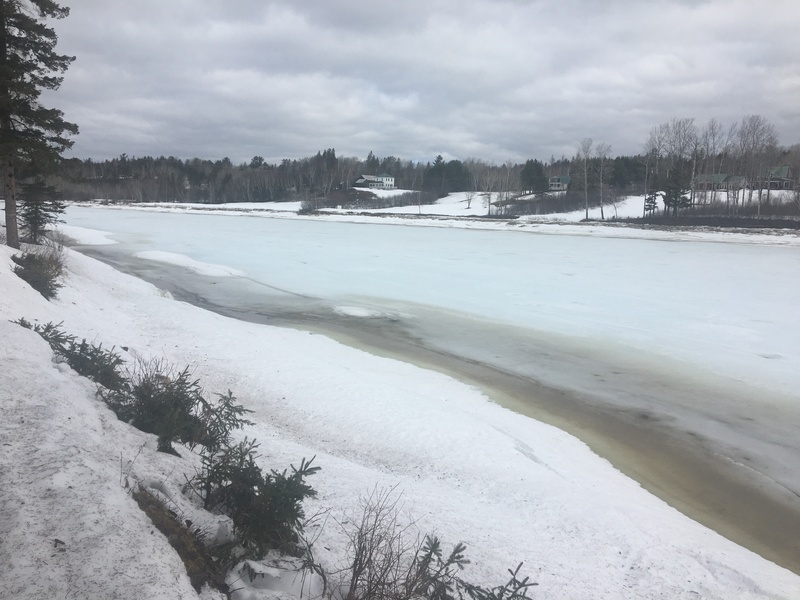 April 12 No ice from the mouth of Cains on down, but you can see that it remains on the Southwest Miramichi above there. Anyone know the name of this stream entering the main river??? 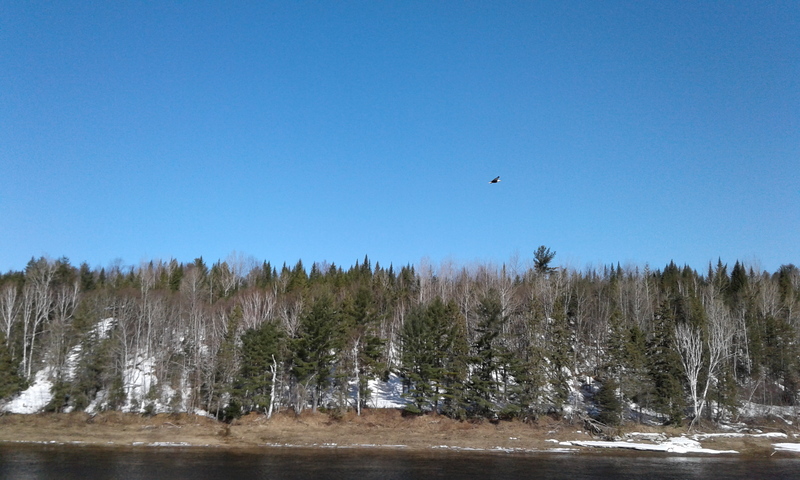 His majesty on patrol over the Miramichi. 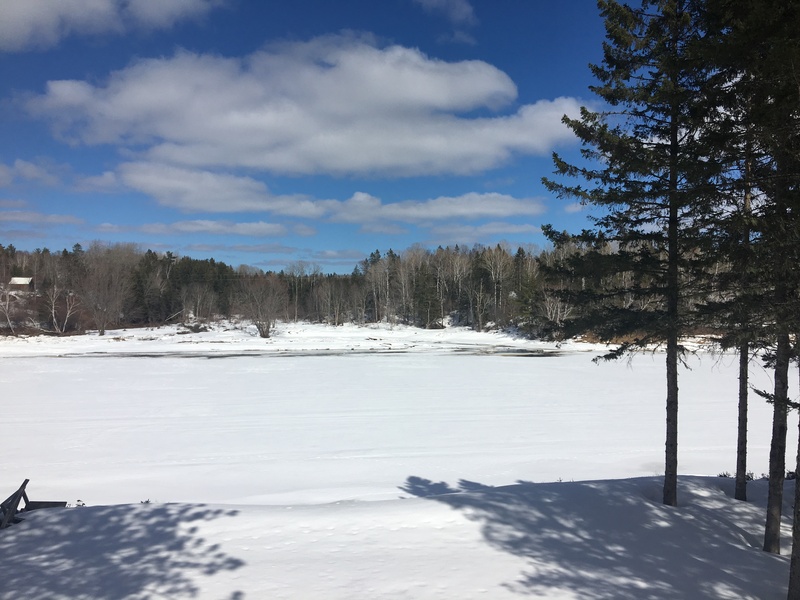 Brad,How soon one forgets what a New Brunswick winter is like, looking out my office window and seeing green grass.There is a mighty beauty in the expansiveness of the frozen river and surrounding fields. All of this, soon to give way to the glory of spring and returning salmon. Have a great season. Thanks Brad for your fabulous reports and pictures. 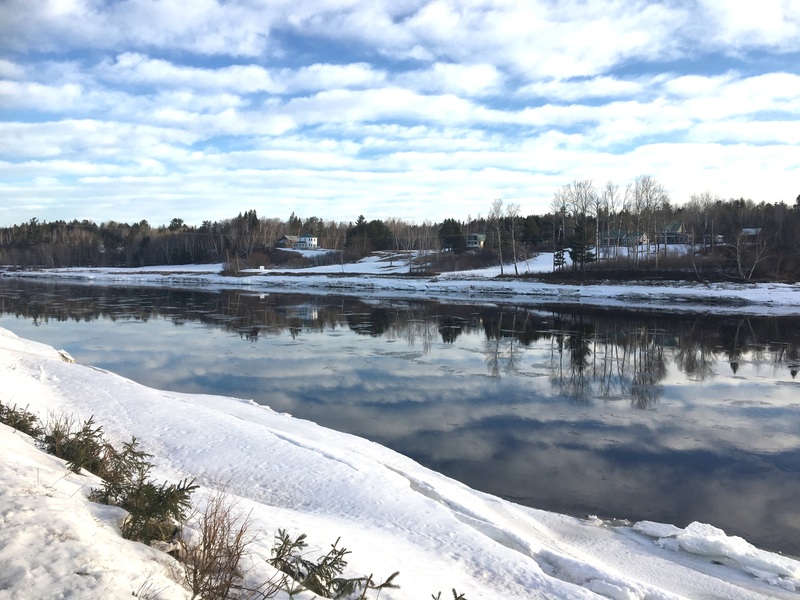 It’s wonderful to see the Miramichi and the Cains in all the seasons of the year. Good luck this year! Thank you. I’m getting psyched up for my first trip – heading up a week from tomorrow for a few days. I can’t wait to get out on the river. Good to see your ice out report and photos. 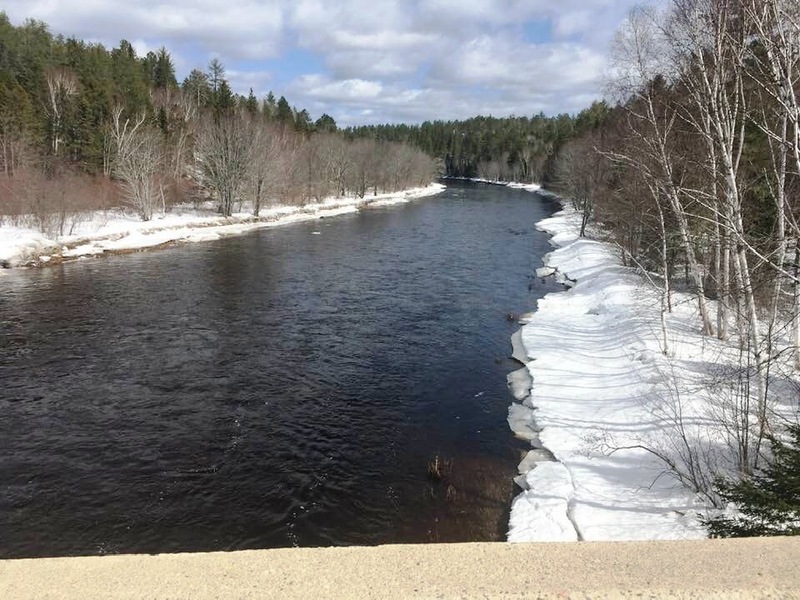 Those of us who travel to the Miramichi annually for spring fishing are often in the dark as to river conditions until opening day when the lodges post reports. Your report makes it easier to plan our trip. Thanks Bernie. I’m headed up myself about a week from now. I try to keep these reports going all season long. Fab pictures, Brad. Really inspires me to see the wilderness of that pure snow. I’d seen the r-bank channel of Doctor’s Island open via a pic on Byzie’s FB post. 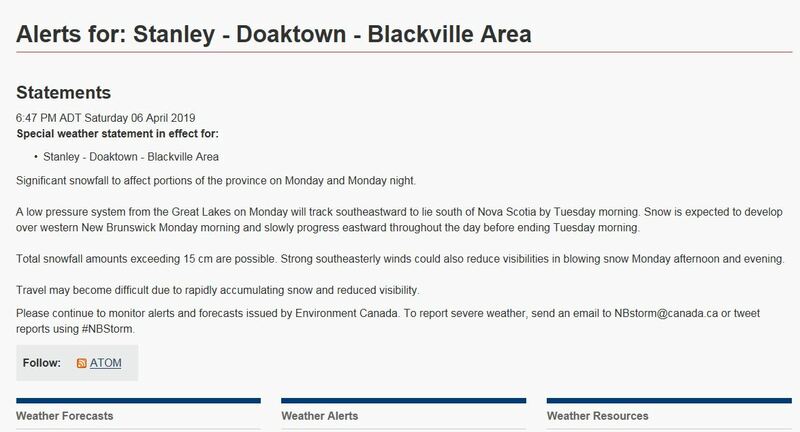 I believe CL may be up at Gray Rapids shortly. Will be at Country Haven next week fishing Tue thru Fri. This will be our 12th year. Three guys in their 70s who absolutely love our annual trip from NH. Maybe we will meet up. Where will you be fishing? Just spoke with a person who told me that the ice was out on the main Miramichi. Is that what you are hearing? Yes. The river is no longer frozen over anywhere that I have heard of, but there are still chunks of ice in the down river flow. 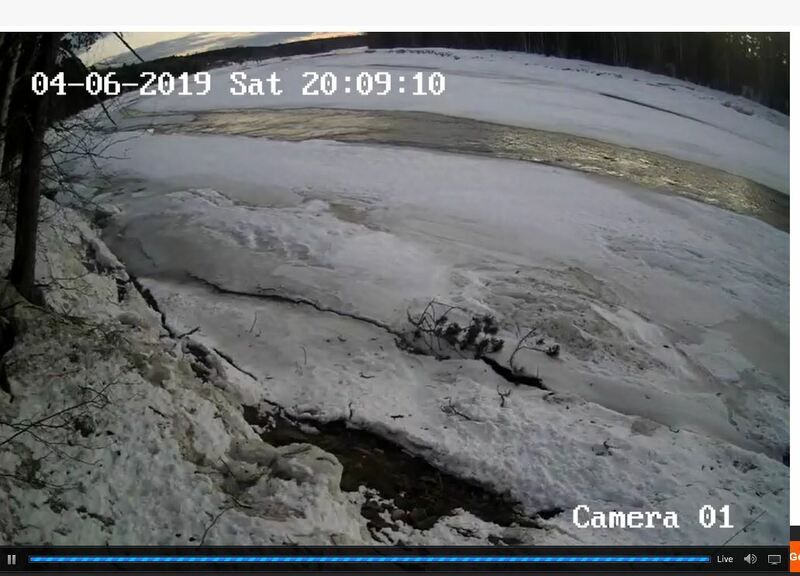 I just looked at the MSA webcam in Boiestown https://www.ipcamlive.com/5616a40cabd65 and I see that there are still some chunks in the water, but relatively few. After the next few days of rainy weather the river will be completely clear of ice.